The state of New York boasts one of the largest populations in all of the United States, and with its seemingly endless number of landmarks and attractions to see, there is also a near constant stream of documents New Yorkers need to shred. The rising numbers of identity theft and fraud are making it more important than ever for businesses and individuals to safely destroy their sensitive personal and proprietary information, however with the help of Shred Nations’ locations throughout the state of New York, there’s always a range of HIPAA and FACTA compliant shredding services not far away. Shred Nations works with an extensive network of shredding providers located all throughout the state of New York, striving to connect New Yorkers with reliable local shredders while meeting their schedule and budget. The bustling city of New York is the home of five boroughs—the Bronx, Brooklyn, Manhattan, Queens, and Staten Island—and boasts some of the most well-known landmarks and attractions in America. Including the Statue of Liberty, Empire State Building, and the famous theaters on Broadway, there’s plenty for tourists to do, but when it comes to the everyday services New Yorkers need like shredding for sensitive documents, the businesses they turn to may not be as well-known. Nevertheless, as Sinatra famously sang, when you go right to the very heart of it, you’ll find that Shred Nations New York, NY is A-number one, and top of the list for shredding. Offering our full range of shredding services, we help to keep New York’s businesses and residents’ documents secure, and with options like our off site and mobile shredding, we can even come to you—saving you the hassle of hailing a cab and dealing with the traffic. The city of New York’s most populous borough, Brooklyn on its own offers plenty individual attractions. 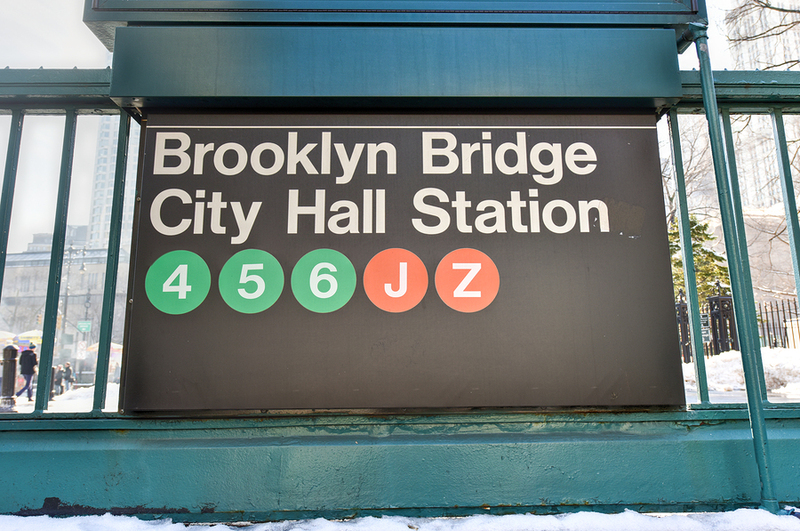 With the Brooklyn museum for those seeking a little culture to the Brooklyn Nets for sports fans, you can also find Shred Nations Brooklyn with locations throughout the borough. Like every other part of New York City, traffic is a near-constant hassle to deal with, and in some cases there isn’t even always a sure chance parking can stay available for long. Luckily though, our range of secure services have that covered too. If there isn’t time or opportunity for a mobile shredding truck to destroy your papers and electronics on site, you can always use an off site service, where we come to you, but instead do a 1-2-3 pickup—taking your documents to be shredded at a lower price off site instead. There are also multiple Shred Nations drop off locations throughout Brooklyn and New York too—some may even be just a few blocks down from you. If you’re out running errands or on your way home from work, all it takes is simply stopping in to drop off the documents you need shredded. Just up the road to the north of New York City, you can find Shred Nations locations throughout the city of White Plains and surrounding Westchester County. Less than a half-hour from Yankee Stadium and Rockefeller Center, White Plains offers its businesses and residents the best of both worlds with a less overwhelming small-town feel that’s still nearby New York’s largest city. With the tendency of having closer communities than in the bustling city streets, a great way for White Plains residents to take advantage of Shred Nations White Plains’ secure shredding services is through organized community shredding events using mobile shredding for example. Allowing local churches, businesses, and neighborhoods to come together and safely shred their documents, shredding events are often held in large and easy-to-access public areas and can provide White Plains residents a way to shred their documents for the low cost of a small donation—or even for free. Situated near New York’s eastern border and not far from the crossroads of Vermont and Massachusetts, Albany proudly holds the title of being New York State’s Capital City. Albany offers something for everyone—including performing arts, exhibits, and also secure shredding services with the help of Shred Nations Albany. Like any other New York city, we offer the full range of services such as hard drive and electronic media destruction as well as mobile and off site shredding services, helping Albany’s residents to find a shredding option that meets their needs. Whether it’s a one-time shredding purge, ongoing service, or stopping in at a Shred Nations Albany drop off location, there’s a wide variety of secure shredding options for the businesses and individuals in Albany and Albany County to take advantage of. The educational and economic hub of central New York, Syracuse is home to the famous Orangemen and Orangewomen of Syracuse University, and is ranked 4th by Forbes among the top ten American cities to raise a family. While not as densely populated as New York city and its five boroughs, Syracuse’s businesses and residents still have plenty of options for shredding their documents, hard drives, and electronics with the help of Shred Nations Syracuse. With local shredding providers scattered throughout the city and its surrounding areas, mobile shredding and off site shredding services are able to come out directly to your curbside to handle your document destruction. Shred Nations Syracuse is available to arrange community shredding events and additionally offers convenient drop off locations—helping to serve every Syracusan’s shredding needs. Looking for Shredding Services Near Your New York City? Besides the Big Apple and cities like Albany or White Plains, businesses and residents can also find secure and reliable shredding services from Shred Nations throughout the state of New York as well. Partnering with a nationwide network of shredding providers, Shred Nations specializes in helping to connect New Yorkers needing to shred their documents with local shredding providers—striving to find you a secure shredding solution to meet your schedule and budget. To begin scheduling with a shredding provider near your New York home or business or to learn more about our services, just give us a call at (800) 747-3365 or fill out the form to your right. Within minutes, you’ll receive free and personalized shredding quotes from local providers in your area.